Elizabeth, Barren for a Season but Never Forgotten | What Is Your Truth Today? Upon studying the scriptures to understand more about Elizabeth and God’s call upon her life, it became instantly apparent to me that Elizabeth not only believed in God but she trusted God. Believing and trusting is the hallmark for the work of God in our life. In the fulfillment of God’s timing, that God had a purpose and a plan for their lives. If we are honest with ourselves, we may not be barren like Elizabeth, but you maybe barren spiritually or physically. You may be barren in food or shelter. You may even be barren in your relationships. Barren in your job. Barren in your finances. Whatever state of barrenness you may find yourself in, one thing is for sure, you are never alone. How do you think Elizabeth handled her condition of barrenness? 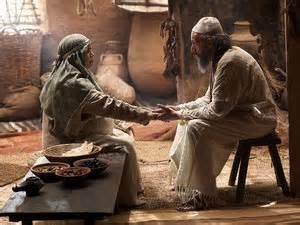 When you go back to the scriptures, you see no knowledge of Elizabeth’s feeling toward her condition. There was no sign of pity. Elizabeth may have not understood her condition in reference to why she was barren, but her condition did not leave her hopeless. There is nothing in the scriptures that tell us that she complained to God. The only thing we do witness in the scriptures is the people in her community believed that she was the cause of blame. It was because of her that Zacharias was childless. Let’s look at what she said in the following scripture. Thus hath the Lord dealt with me in the days wherein he looked on me, to take away my reproach among men. Luke 1:25. Here are the words coming from Elizabeth’s heart, “to take away my reproach among men.” God Almighty removed the blame from Elizabeth. Upon Gabriel’s announcement of glad tidings, Elisabeth indeed conceived a child within her wound. What God Almighty did for Elizabeth, he will do for you and I. Whatever your situation, trust in God! Have Faith in God! Believe in God! Remember what God said in Jeremiah 29:11. For I know the plans I have for you declares the Lord, plans to prosper you and not to harm you, plans to give you hope and a future. I have come to a place in my life where I trust in God completely. I may not understand all things, but I have faith in God. Sometimes we tell God to use us. Do we understand that God will answer our prayers and use us in the way that he desires. When we ask Him to use us, he will use us in the good and in the bad. Are you ready for God to use you in the suffering. Maybe God is doing that exact thing right now. Maybe your situation seem hopeless. You maybe thinking in your own mind that you are not destined for great things. Well, I’m not asking you to believe what you think about you, but believe what God thinks about you. God has destined you for great things! You must believe that you are worthy of great things. If you feel you are not worthy, you will never walk into the great things God has plan for your life. You must remember, the voices around you may tell you that you are not worthy. But God! I ‘m sure during Elizabeth’s time, she too was seen as not worthy. But in the fulfillment of God’s time, Elizabeth give birth to John the Baptist. The one who was destined to go before God. For we see, that God had a purpose and a plan. The following scripture tells us what His purpose and plan for the child that Elizabeth would bring into the world. As we mediate upon Elizabeth, let us remember the hope that each of us have in Jesus Christ. Jesus has the final word over our life. I’m challenging you today. Stop working against God and start working with God. Let God use your life in whatever capacity that He desires and trust in Him completely to work out his purpose and plan for your life. Thank you Mark! Continue to trust God and remember to wait on God for all things!